Gupta Empire Astronomy: The Gupta Empire period was popular for several reasons. One of the reasons was the advancement achieved by the Guptas in astronomy. The chief exponent of the development in the field of astronomy was Aryabhatta. One of the important developments in this filed was the theory proved by Aryabhatta that the earth is round in shape unlike the ancient belief that it is flat. The theory of gravity was also promulgated by the astronomers of the Gupta period. 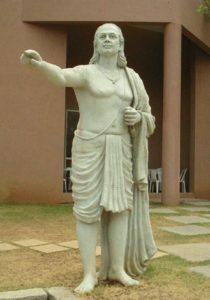 The astronomical system of Aryabhatta was known as the “Aud Ayaka system”. In this system, the days are calculated from dawn. Aryabhatta also proved that the earth revolves around its own axis every day. He was of the opinion that the motion of stars was a result of the motion caused by the rotation of the earth. This theory of Aryabhatta contradicts the previously believed notion that it is the sky that rotates and not the stars. He believed that the Earth’s orbit is elliptical and not circular. Aryabhatta described a model of the solar system wherein the Sun and the Moon are carried by epicycles. According to this system, the Sun and the Moon revolve around the Earth. The positions of the various planets in the planetary system were calculated in relation to their moving points. The calculations made by Aryabhatta in reference to the planets movement was believed to have been supported by an underlying heliocentric model. 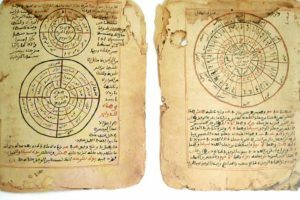 He scientifically elucidated the reasons for the occurrence of the solar and lunar eclipse. Aryabhatta stated that the lunar eclipse occurs when the moon enters into the shadow of the Earth. He even calculated the sidereal rotation. Aryabhatta calculated the sidereal year and stated that it takes around 365 days for the earth to complete one revolution around the sun. The development of astronomy in the Gupta period was a source of influence to the next generation astronomers.